Striata Spotlight Insights How good is your brand's voice? What is your reaction when you spot a spelling mistake in a digital communication? Would a ‘typo’ affect your tendency to act? An article published by the BBC states that online sales can be adversely affected by up to 50% when a page contains a spelling mistake. In this issue of eMarketing Insight we highlight the importance of focusing on your brand’s voice – how it is communicating with your customers through digital channels such as email, SMS, MMS and of course, online. A formal communication with perfect sentence structure and content is unlikely to double your sales revenue, but a spelling mistake in your eMarketing campaign may be the reason you don’t get the anticipated click-through rate. Studies have found that language used in certain digital media e.g. SMS and Twitter, which contain abbreviations is generally not considered acceptable in other digital channels like online and email. Similarly, spelling mistakes are more ‘acceptable’ within an informal platform like Facebook and Google+, but not in official brand communications, such as an email marketing or operational message. With phishing a constant threat to eCommerce and the Banking sector, customers will probably question the trust of a digital communication containing a typo and may not act as a result. They lose respect for your brand; you lose credibility, which can have far reaching effects on future revenue. Remember that if you can’t spell, then you are spam! Spam filters look for mistakes in spelling and grammar and often block these communications from reaching the recipients’ inboxes. If your communication fails to reach the intended recipients, not only will additional operational expenses be incurred, but the cost of sending the email will yield no return either, as the sales opportunity will be lost. Whilst ensuring that your digital communication is perfectly spelt, grammatically correct and effective, remember to check that your tone is consistent throughout all of your communication media and communication types e.g. scheduled, triggered, cross- and up-sell, milestone and dormancy. 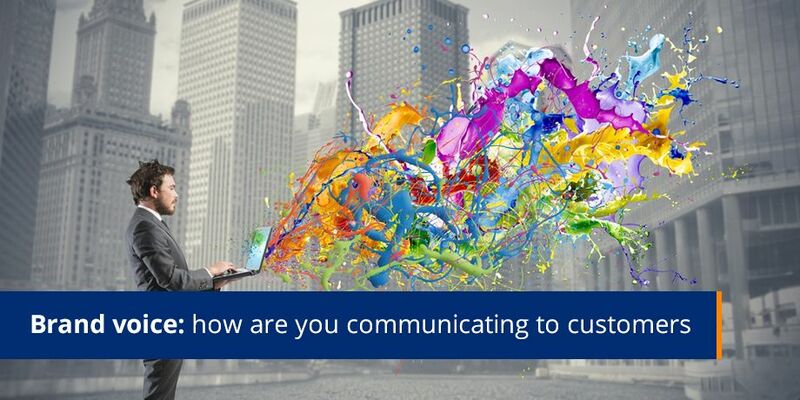 Speak to your customers in a way that convinces them that it is the same ‘person’ communicating with them each time. You don’t want disparate departments sending ad hoc messages, which may confuse customers and not only damage the credibility of all your eMarketing communications, but also your brand’s reputation.